This is an older Russian Art doll painted in blue with blue and green flowers. The women have curly brown hair and pleasant faces. 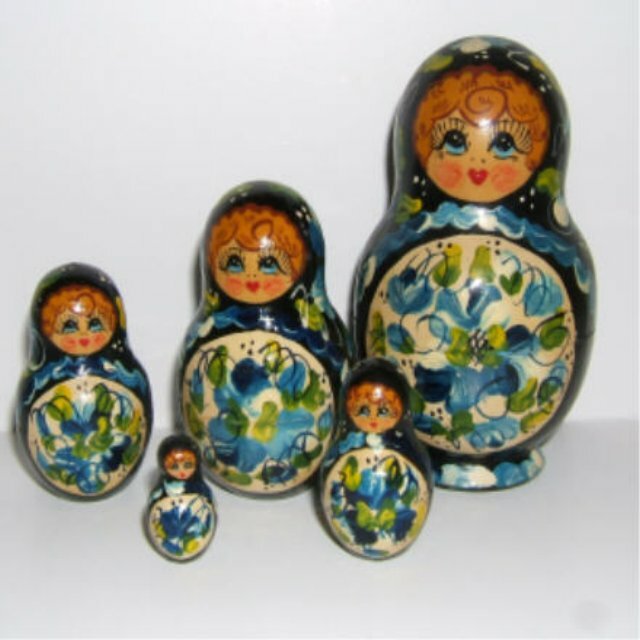 The largest doll is 4" tall in this set of 5 dolls.